The SAC is currently chaired by Professor. James Metson, Deputy Vice Chancellor (Research), University of Auckland. 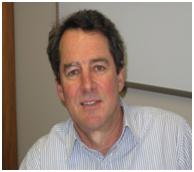 Jim Metson graduated with a PhD in chemistry from Victoria University of Wellington, New Zealand in 1980, before taking up a position at Surface Science Western, University of Western Ontario, Canada. He then moved to the University of Auckland, NZ, where he has held several positions including Associate Deputy Vice Chancellor (Research) and Head of the School of Chemical Sciences. He is currently a Professor of Chemistry, Deputy Dean in the Faculty of Science and an Associate Director of the Light Metals Research Centre. He has also chaired the Research Infrastructure Advisory Group, providing advice to the New Zealand Government on research infrastructure. His research interests are in materials and particularly surface science and surface spectroscopies, with an emphasis on metal oxides and applications in the aluminium industry. 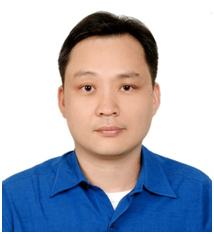 Shangjr (Felix) Gwo, a professor of physics at National Tsing Hua University (NTHU), was appointed as the new Director of the National Synchrotron Radiation Research Centre (NSRRC) on 1 August 2014 by the Board of the NSRRC. Director Gwo has excellent experience in school administration and industrial collaboration, as well as in conducting outstanding scientific research. He earned a bachelor's degree in electronic engineering in 1985 from National Chiao Tung University (Hsinchu, Taiwan) and a doctorate in physics from the University of Texas at Austin in 1993. He joined Joint Research Center for Atom Technology for postdoctoral research shortly after his PhD study, then became a research fellow at National Institute for Advanced Interdisciplinary Research in Japan. In 1997, he returned to Taiwan and started his academic career at NTHU, working his way from associate professor to professor. As the Vice President for Research at NTHU (Hsinchu, Taiwan) from 2010 to 2014, Shangjr Gwo not only increased the international visibility of NTHU but also initiated numerous collaborations between the university and industries. An experimental physicist, Shangjr's research focuses on nanomaterials and nanostructure physics, surface physics, plasmonics, nanophotonics and molecular beam epitaxy of nitride semiconductors. He was awarded as one of the Ten Outstanding Young Persons in Taiwan in 2001, as well as the Outstanding Researches from National Science Council in 2000, 2004, and 2010. In 2013, he was elected as a Fellow of American Physical Society. Shangjr is an experienced user of NSRRC and in 2010 he served as the chair of NSRRC User Executive Committee. 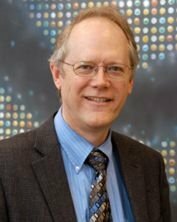 Brian Stephenson was director of the Advanced Photon Source at Argonne National Laboratory 2010-14, and is now an Argonne Distinguished Fellow in the Materials Science Division and adjunct Professor at Northwestern University. He received his SB and SM in Materials Science at the Massachusetts Institute of Technology, and a PhD in Materials Science at Stanford University. Prior to joining Argonne in 1995, he was a group leader at IBM Research in Yorktown Heights, New York. He got involved in synchrotron research as a graduate student at Stanford Synchrotron Radiation Laboratory, and took a leading role in developing IBM-MIT beamlines at the National Synchrotron Light Source, several materials and nanoscience beamlines at the Advanced Photon Source, and the x-ray correlation spectroscopy beamline at the Linac Coherent Light Source. His research interests are real-time x-ray scattering studies of materials synthesis and phase transitions, and x-ray photon correlation spectroscopy studies of atomic-scale dynamics with coherent x-rays. 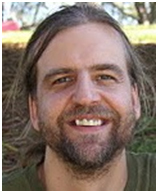 Charlie Bond is a Professorial Fellow in the School of Chemistry and Biochemistry at the University of Western Australia. He has been a regular synchrotron user since 1992 when his PhD studies in protein crystallography at the University of Manchester made heavy use of SRS Daresbury. During postdoctoral and fellowship stints at the University of Sydney and University of Dundee, he made use of Photon Factory, APS, SRS and ESRF, acting as Expert User for the Scottish Structural Proteomics Facility. He was chair of the Macromolecular Crystallography PAC of the Australian Synchrotron for four years and a member of its User Advisory Committee, and is a co-editor of Acta Crystallographica Section D. His synchrotron-based research has been featured in the popular press in UK, Russia and Australia. Dr Anita Hill – Executive Director, Manufacturing Digital Productivity and Services, CSIRO, Victoria. Dr Sakura Pascarelli - Head of Electronic Structure and Magnetism Group, European Radiation Synchrotron Facility (ESRF), France.